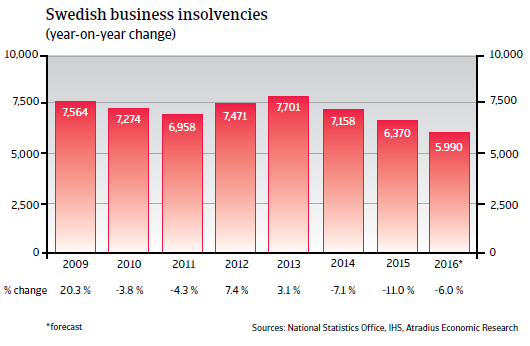 After two years of increases, Swedish business insolvencies finally started to decrease again in 2014 and 2015. It is expected that this improvement will continue in 2016, although at a slower pace of 6%, reaching roughly 6,000 cases. 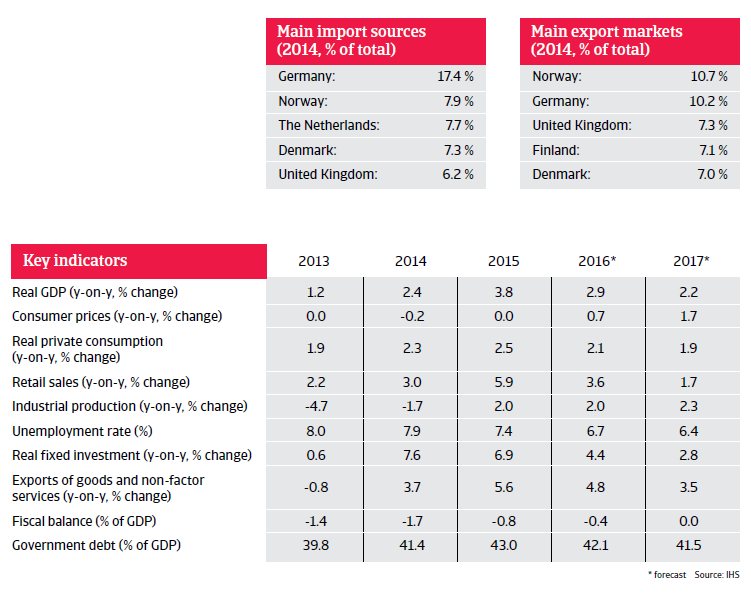 The Swedish economy is forecast to grow by 2.9% in 2016 after a GDP increase of 3.8% in 2015. 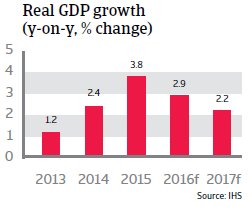 Supported by low interest rates, both household consumption and investment growth are expected to continue, although at a lower rate than in 2015. The main problem Sweden was facing in 2015 was deflation, which was intensified by the appreciation of the krona relative to the euro, which accelerated deflation and made exports more expensive and thus less competitive. In order to combat deflation and to weaken the currency, the Swedish Central Bank has repeatedly lowered the repo rate since July 2014, finally to -0.5% in February 2016. 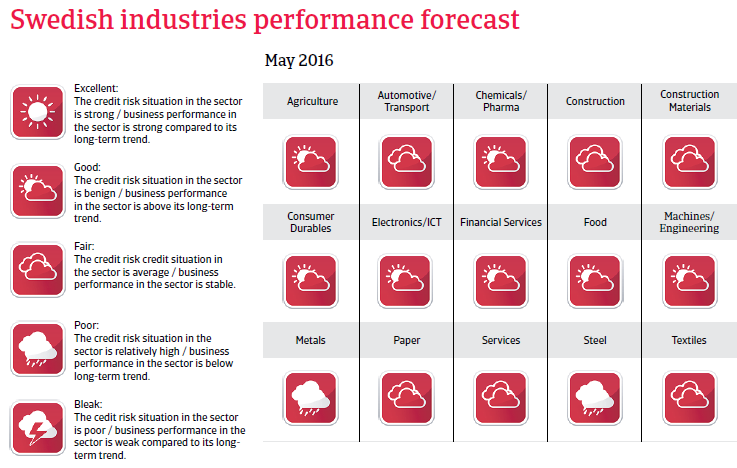 This latest decrease was seen as a pre-emptive move ahead of the further easing by the European Central Bank. 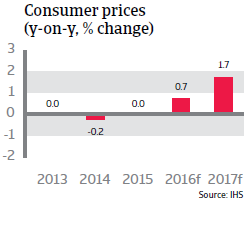 Inflation picked up again in early 2016 and is expected to increase 0.7%.